Love it or hate it, pumpkin orange is the new black. 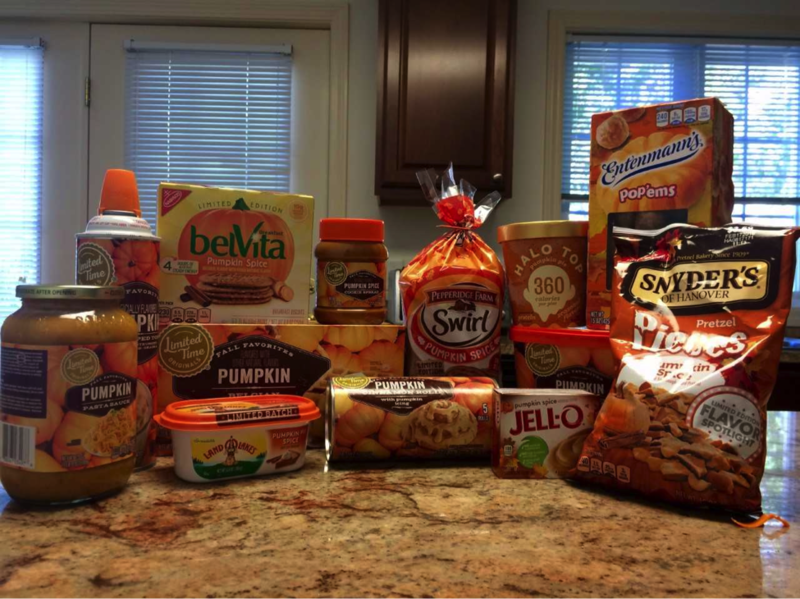 Much like the changing colors of leaves and the cooling of the weather, the reemergence of pumpkin-flavored products is a sure sign that fall has arrived. Love the trend or hate it, ingenious food marketing campaigns have made the flavors of fall into a full-blown cultural phenomenon. There is something delightfully comforting about warm, gooey cinnamon rolls on a chilly morning. Regardless of whether your definition of chilly is a balmy California fall or the nippy breeze of a Maine autumn, cinnamon rolls are a comfort food and Pillsbury is a brand close to home for many. The pairing of fuzzy fall-feels pumpkin flavor with the homey nostalgia of these icing-covered pastries is a no-brainer. Plus, cooking these babies will make your home or apartment smell better than any candle. If fall-flavored pastries sound appealing to you, but anything involving an oven is a step too high-maintenance, you’re in luck. Pop-tarts, the controversial part of every ’90s baby’s childhood, are no stranger to entertaining some rather odd limited-edition flavors. Indeed, Crush Orange soda and Green Jolly Rancher Pop-tarts might make Frosted Pumpkin Pie seem tame, but they’re mind-blowing nonetheless. 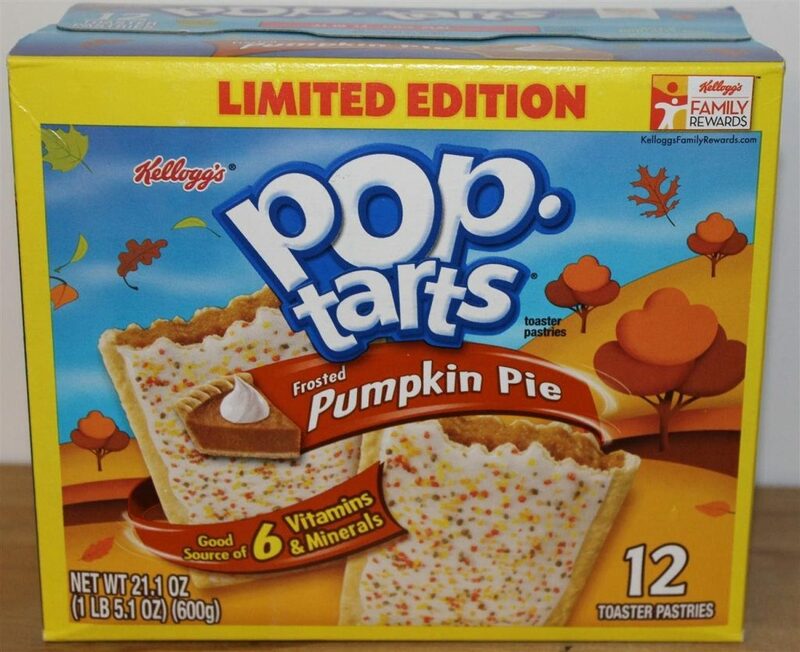 This Pop-tart flavor brings the goodness of your Grandma’s fresh-baked Thanksgiving pumpkin pie to your toaster. Halo Top has taken over the “healthy” ice cream scene. If you haven’t already jumped on the low-calorie frozen treat bandwagon, do yourself a favor a grab a pint, which average around 240-360 calories for the whole container. Halo Top’s seasonal Pumpkin Pie flavor offers a healthier way to eat your excitement about the incoming fall holidays. In fact, the pairing of this creamy treat with any other sweet fall-flavor product would be a delicious pumpkin-ception a la mode. An unexpected turn in this list is the inclusion of breakfast cereal. 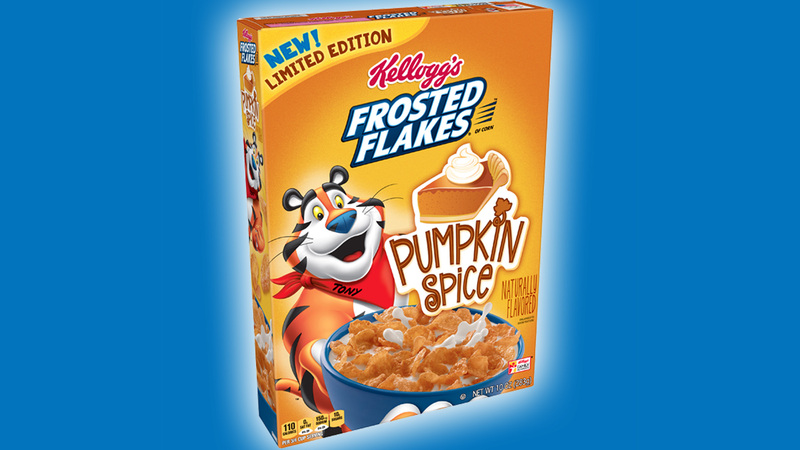 In the fall, the iconic orange Tony the Tiger also promotes a flavor the same color as his striped-fur, Pumpkin Spice Frosted Flakes. If you’d rather drink your pumpkin in something stronger than a PSL, or perhaps spice up a regular coffee drink, this next one’s for you. Those of-age can enjoy the ultimate autumn alcohol, whose packaging and name is just as fun as fall. 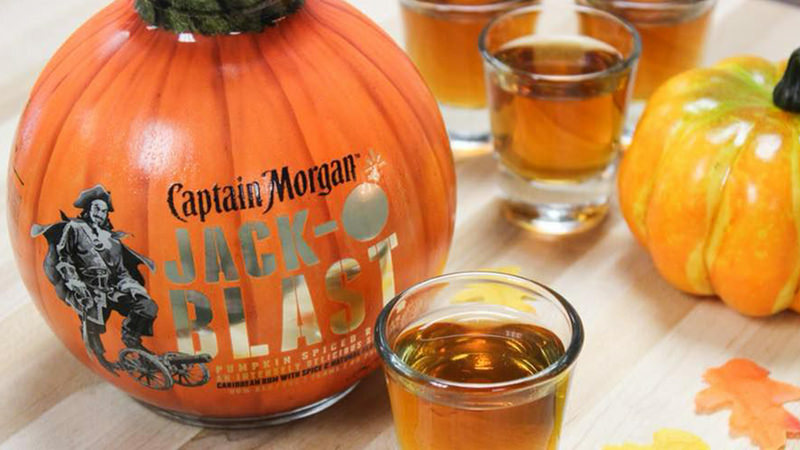 Captain Morgan’s Jack-O-Blast, an addition to their round, cannonball-shaped flavored rums, is appropriately designed as a pumpkin. This pumpkin spice rum is the perfect addition to coffee, hot chocolate or a special seasonal cocktail party. If these sweet treats haven’t done it for you, pumpkin flavor extends into the world of savory and salty snacks too. Quite possibly the healthiest option on this list, heart-healthy almonds have also been sucked into the fall-flavors trend. Pumpkin Spice Almonds by Planters marry the spicy-sweet taste of pumpkin with the tantalizing sea salt and crunch of fresh almonds. These would be wonderful paired with fresh roasted and salted pumpkin seeds and Nestle’s Pumpkin Spice Morsels for a autumn take on trail mix. Cream cheese, whether it inside rich baked goods or atop a freshly toasted bagel, is a kitchen necessity. Philadelphia offers up a host of flavor options, including their very own yummy nod to the pumpkin craze, pumpkin spice cream cheese. The possibilities for this spread are endless, including a variety of frosting and baked creations, or of course, the perfect addition to a hot pumpkin bagel. Breakfast has never before been such a fall fantasy. 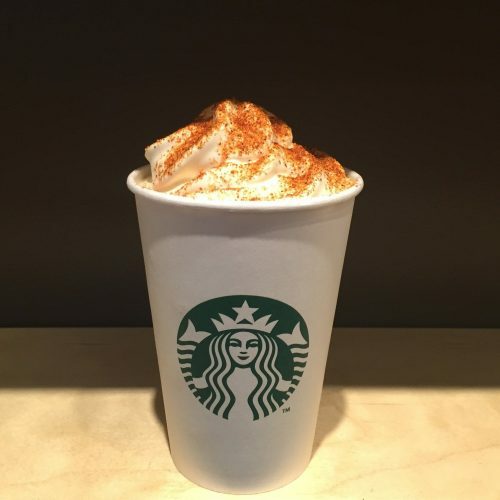 Regardless of which side you stand on in the pumpkin spice craze, it’s undeniable that tis’ the season of merchandisers jumping on seasonal trends and flavor-controversy. And it goes without saying, each and every one of these delicious pumpkin products pair nicely with a fresh hot or cold pumpkin spice latte.